Hi guys! I've been wanting to post this for a couple of days but I needed a few days off from swatching. It definitely gets tough sometimes and makes me want to give me. But there is no way I'm actually giving up, the passion for art is still strong in this one. I just need to remember to relax a little more and not be such a perfectionist. So it's Easter this Sunday... Have any plans? I usually don't besides a nice dinner with the folks and hubby at home. Even though it's simple plans, I have to make sure my nails are done right for the occasion. 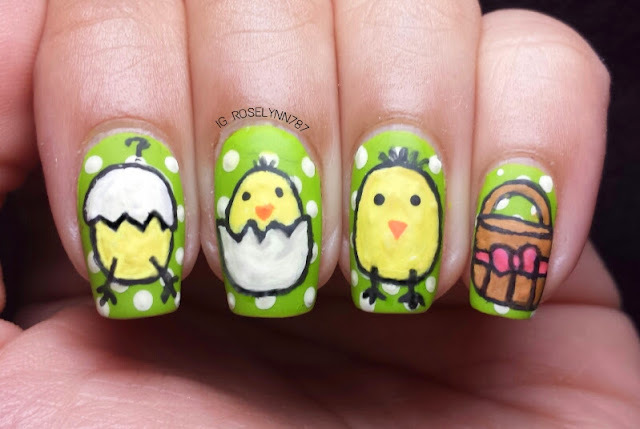 Today I'll be showing you guys two designs I did this week for Easter. I hope you love them as much as I do. I absolutely love how this one turned out! It took me about 2 hours to complete and it was based on an image I found on Google. I actually won a contest with this design over at The Digital Dozen and they let me do a guest post on their blog. 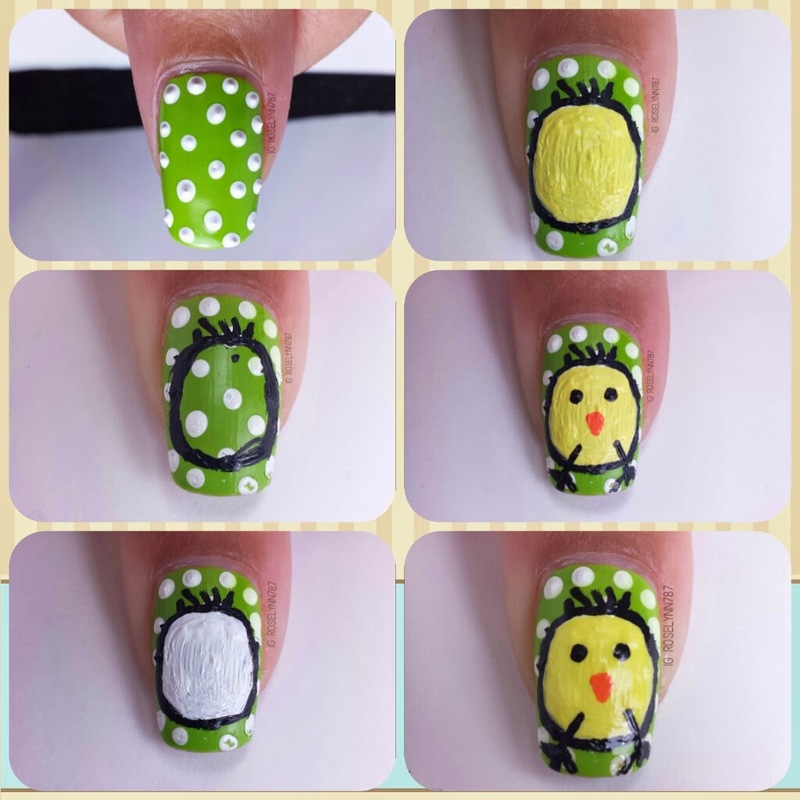 The post is actually a step-by-step guide on how to create your own baby chick on your nails. Click right here and go check it out guys if you are interested in that tutorial. And here's another, wider, look at the little chicks! 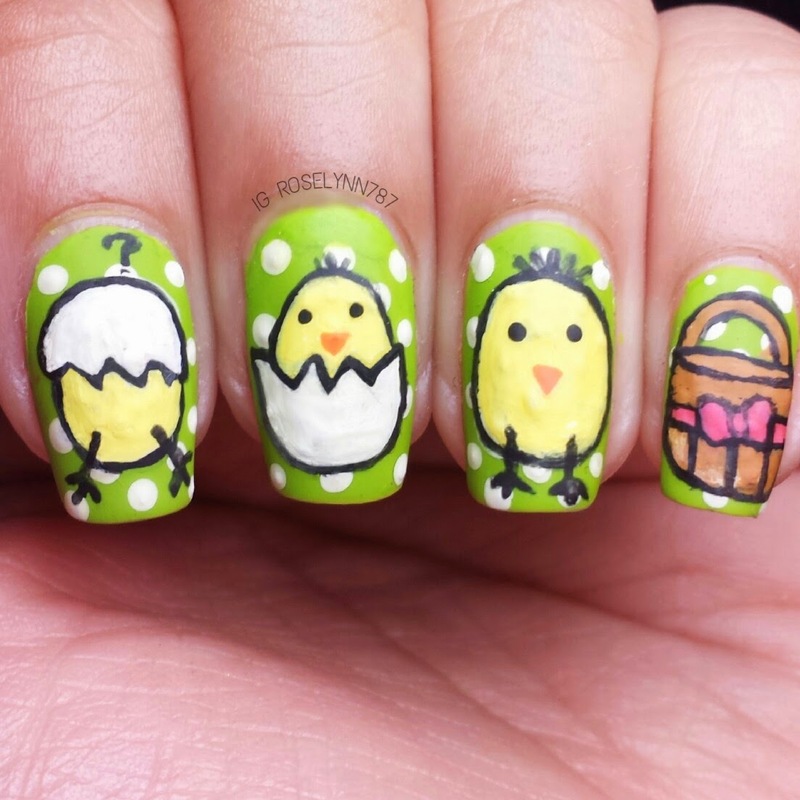 The other Easter themed design I did was just a few days ago with my IG friend @alemodesan. We hadn't done the bestie twin nails tag in a year or so and were way over due for another team effort. 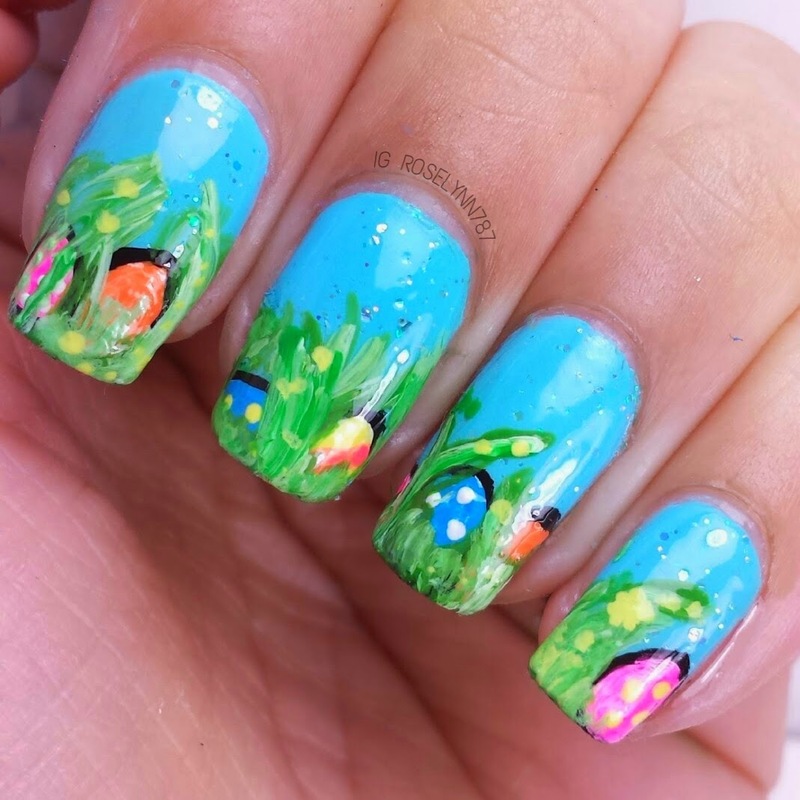 Time to go hunting for Easter eggs with this mani! 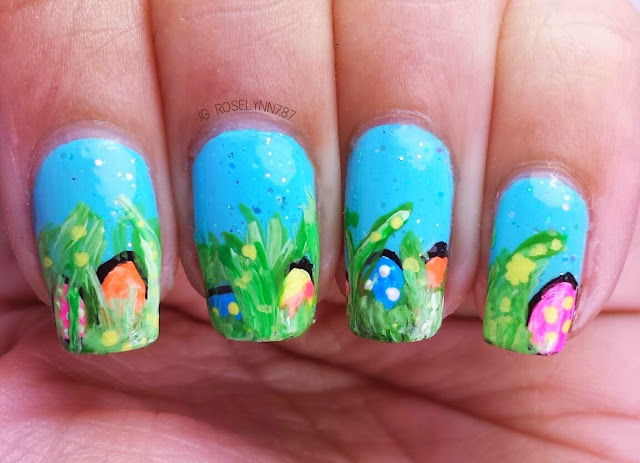 Little Easter eggs hiding in grass, haha. Cuteness! I wanted to do this design for weeks but couldn't find the motivation. Thank goodness for @alemodesan. I used Baby Blue by Nicole OPI for the background and everything else in this design was done in acrylic paint. Unfortunately I don't have a guide for this one, sorry guys. I was in such a rush I forgot to take photos step-by-step. But if it helps, I did the eggs first and then added the grass afterwards. I hope you've liked both these designs and hopefully they've even inspired you to create something yourself. If you guys have any questions, please let me know down in the comments. I love you guys and I hope you have a Happy Easter, if you celebrate it. These mani's are perfect! Too cute! Cute, I absolutely adore both of them as they are so so cute! Well done for winning a competition for them as well - that's amazing! Both designs are lovely! And I love your pictorial, it was very clean and easy to follow. I'll have to give it a go next spring!